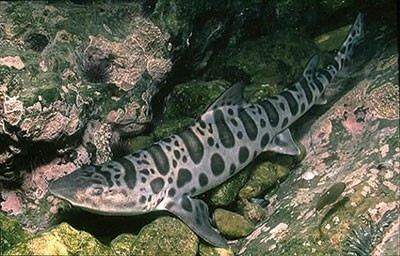 Swell Shark's have similar appearance to a leopard sharks spots. As well, the younger ones are usually lighter than the older ones. These sharks have a ring shaped mouth that is used to prevent other fish from attacking them. They live in the Eastern Pacific, the central California coast, the Gulf of California, and the southern tip of Mexico. They can found over continental shelves and subtropical waters. They usually eat: bony fish, mollusks, and crustaceans. They eat by lie's on the bottom of the water with its mouth open waiting for a fish to swim in its mouth. 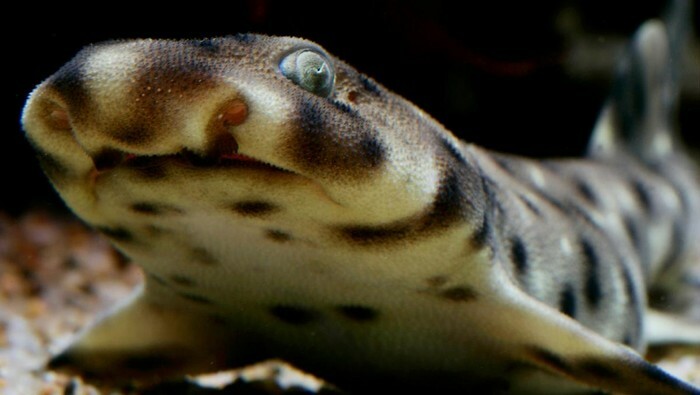 In order to reproduce, the swell shark lays eggs that attach to the reef with tendrils. 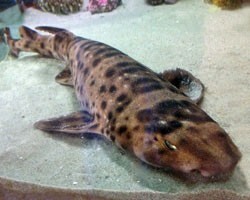 The Swell Shark is related to cat sharks and deep sea filetail cat sharks. The family is Styliorhiniformes.